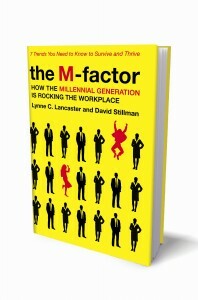 Peter speaks with Lynne Lancaster, co-author of The M-Factor, about the millennial generation and leadership. Also, the new LeaderLab podcast, research about leadership, insight, accountability and culture and podsafe music. Want a chance to win a copy of The M-Factor? “Like” this post on Facebook or leave a comment below and you’ll be entered to win. Good luck! Tagged with Admiral Thad Allen, David Burkus, Deep Water Horizon, Gordon Brown, LeaderLab podcast, Lynne C. Lancaster, Millennials, The M-Factor.